Support Stutisheel’s 3100 mile Race book project on Indiegogo! My name is Stutisheel Lebedev, and I am a 9-time finisher of the world’s longest race – the 3100-Mile Self-Transcendence Race, that takes place annually in Queens, New York. For my best performance, it took me 48 days to complete the distance, averaging 64.3 miles per day. My participation in the 3100-Mile Race changed my life dramatically – I saw and became aware of many things that block or delay the movement towards my goals. For me, this extraordinary race is the best school of life (and also – concentrated life – when everything happens with great intensity and speed), where I can test and verify many approaches and discoveries in nutrition, equipment, but first of all – in the natural unfoldment of your hidden unlimited potential. With your sincere help of funding the publishing of my book, I will be able to spread the spirit of the 3100-Mile Self-Transcendence Race and inspire people to have faith in themselves and to believe that nothing is impossible. I see it as a BIG positive creative impact in everybody’s daily life. I request you not only to contribute the money-power, but to BE a part of this impact, spreading the message by personal example. •Sales description, marketing campaigns and promotions. Congratulations to our dear sister Sammunati from the Kiev, Ukraine Centre, for winning the Dublin Marathon for the women on October 26th 2015 in a remarkable time of 2:31:08. As Dipali said: “she is running times that Sri Chinmoy had hoped the man disciples would run.” When Sammunati was asked if she felt Sri Chinmoy with her on the race day, she commented: “every day for the four months leading up to the marathon I felt him by my side at every moment, teaching me how to be disciplined, how to concentrate and how to focus.”. Sammunati was the first woman across the line out of 15,000 competitors. 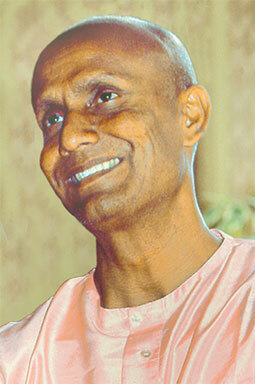 In September 2005 Sri Chinmoy gave 9 peace concerts as part of his “World Harmony Concert Tour 2005” in these 8 German cities: Berlin, Mannheim, Freiburg, Dresden, Dortmund, Nürnberg, München and Hamburg. He concluded each concert with a powerful modern performance on the synthesizer. This video contains all eight compositions in full length and ends with a meditation. Sri Chinmnoy’s music is combined with a selection of his Jharna-Kala artwork. Length: 49:23 min. Filmed and edited by Kedar Misani.